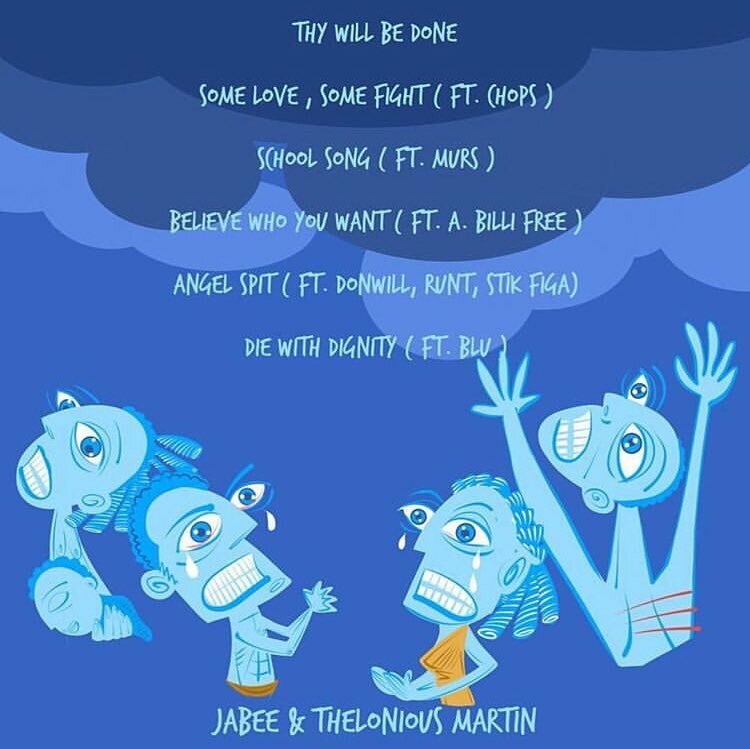 Back in 2012-2013, Jabee and Thelonious Martin teamed up for a pair of projects: As It Is In Heaven in 2012 and Deliver Us From Evil in 2013. And now, with five more years spent working on their respective crafts, the emcee/producer duo are back at it with Thy Will Be Done. Locked in at six tracks–featuring Murs, Blu, Stik Figa, Donwill, A. Billi Free, Runt, and Chopps–the EP can be heard below. Press play and be sure to add Thy Will Be Done on your preferred streaming platform.